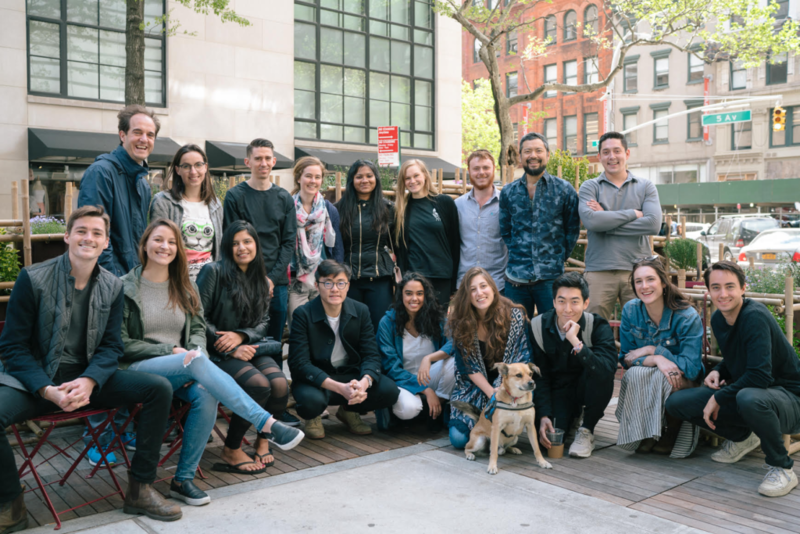 Faculty members and students from the School of Constructed Environments at Parsons School of Design earned a Notable mention in the Design Education Initiative category of the 2018 Core77 Design Awards for Street Seats. Recognizing excellence in all areas of design, the Core77 Design Awards annually celebrates “the richness of the design profession as well as the insight and perseverance of its practitioners,” according to the publication. Elena Habre, Melika Alipour Leili, and Corey Chao, MFA Transdisciplinary Design ’17, are Student Runners Up in the Design Concept category for The River Speaks. Faculty members and students from the School of Constructed Environments earned a Notable mention in the Design Education Initiative category for Street Seats. Sarah Templin, Gregory Beson, Danielle Connelly, and Wenny Chen, MFA Industrial Design ’18, were Student Runners Up in the Design for Social Impact for Bin Bin. Audrey M. Fox, MFA Design and Technology ’17, earned a Student Notable mention for Nettle. Noa Bartfeld, MFA Transdisciplinary Design ’17, is the Student Runner Up in the Strategy and Research category for Re-Defining Menstruation. Finally, in the Strategy and Research category, Kansaranat Pear Nerngchamnong, MS Strategic Design and Management ’17, and Christopher Lopez, MFA Transdisciplinary Design ’17, took home Student Notable mentions for Bear and Instruments of Empowerment, respectively.